Since summertime is right around the corner, many homeowners are already busy getting ready to throw outside dinner parties. However, before anyone can begin to plan any kind of summer festivities, it’s essential to have your exterior layout designed for outdoor entertainment. One of the first things you should address is your outdoor lighting. The right lighting will give you and your guests that perfect ambiance for the party. You should also consider updating your landscape’s design, such as in a traditional, Japanese, contemporary, or modernized decor. Whichever you choose, rest assured that we will be able to accentuate your yard’s overall beauty while adding that relaxing atmosphere. Another aspect you should focus on is installing fixtures that will accessorize your garden. A couple of the adornments that can accentuate your decor beautifully are ponds and fountains. Both of these choices will bring a unique design and a calming atmosphere. In order to enhance your outdoor parties, you can also add a BBQ pit or a high-definition television to your patio. It’s everything you need for parties, all in one place! 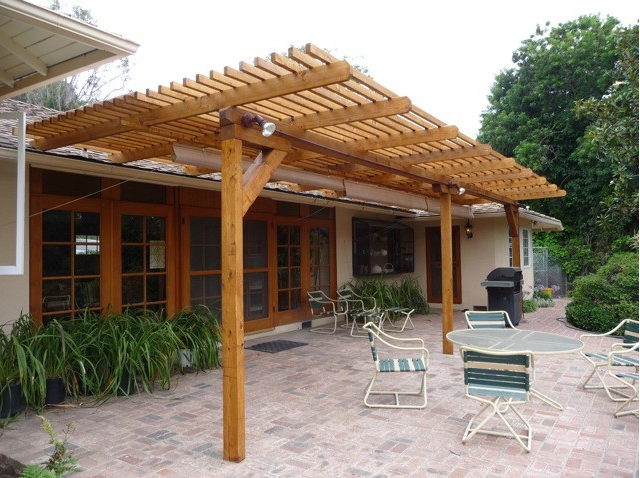 If you’re ready to transform your backyard, start your patio construction project today. Our Keller landscaping company can help you from start to finish, from realizing your dream to finally seeing it in person. Make sure you call Blooms Landcare at (817) 688-5352 for all of your landscaping needs!